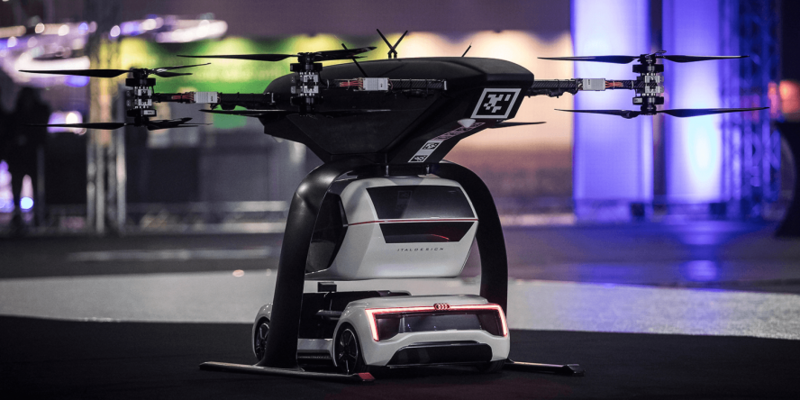 The Pop.Up Next is both self-driving as well as self-flying and designed as a capsule that can be attached to different platforms for electric transport on the air and on the ground. The partners now launched a prototype at the Drone Week in Asterdam. The test vehicle is a 1:4 scale model but managed to take off and land on a platform. There the (future passenger) pod connected to a car-like underbody and autonomously drove off the stage. 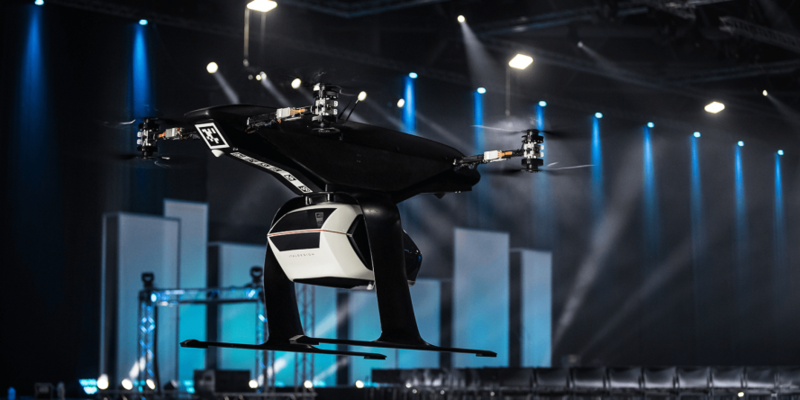 Control of the Pop.Up is left to artificial intelligence and Airbus believes that commercial applications for “urban air mobility” could emerge in as little as ten years. 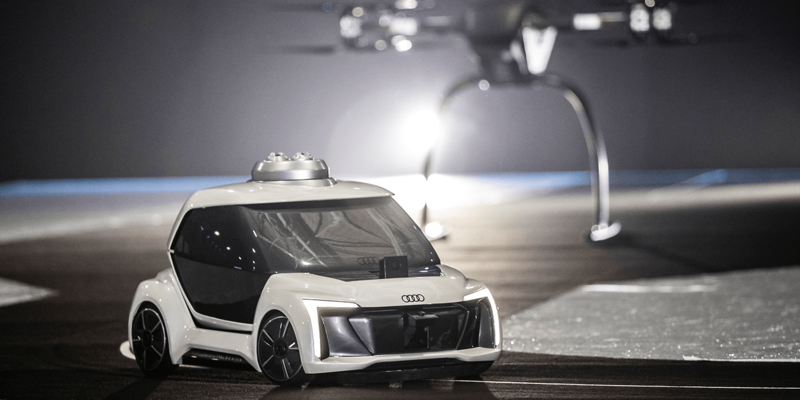 Audi is similarly convinced of their flying cab concept. Dr. Bernd Martens, Audi board member and president of their subsidiary Italdesign, said “flying taxis are on the way”. He sees a market for people without a driver’s license wanting to use “convenient robot taxis”. In fact, the partners have found a first use case already. Audi is conducting tests of a similar on-demand service in South America in cooperation with the Airbus subsidiary Voom. Customers book helicopter flights in Mexico City or Sao Paulo, while an Audi is at the ready for the journey to or from the landing site. “Services like this help us to understand our customers’ needs better,” said Dr. Martens. 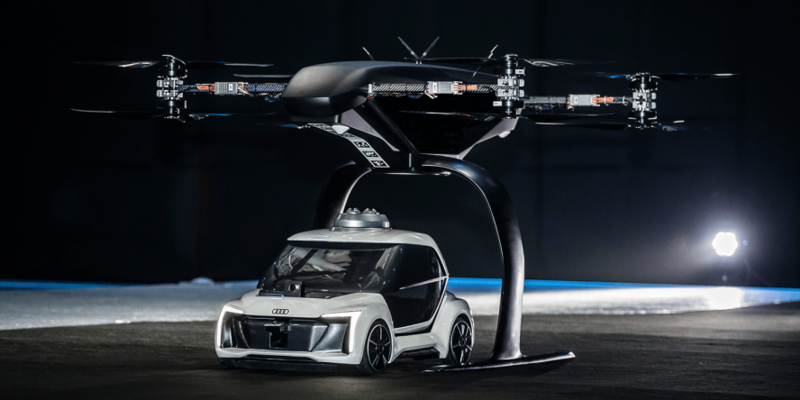 Moreover, Audi is running the Urban Air Mobility flying taxi project at their HQ in Ingolstadt. 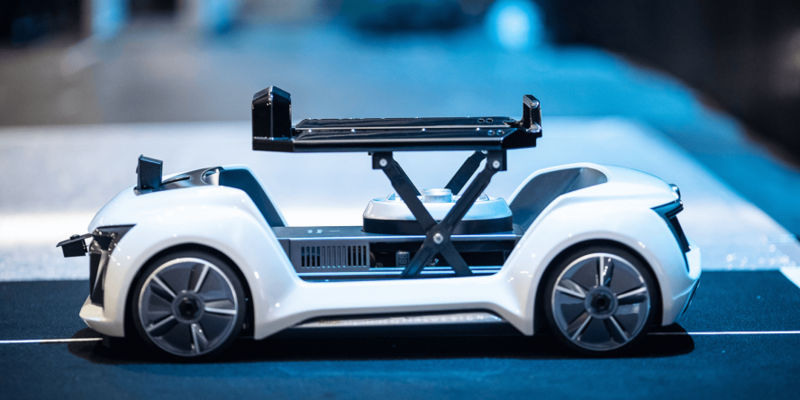 The initiative is preparing test operations for a flying taxi and is part of a joint project of the EU in the framework of the European Innovation Partnership on Smart Cities and Communities.